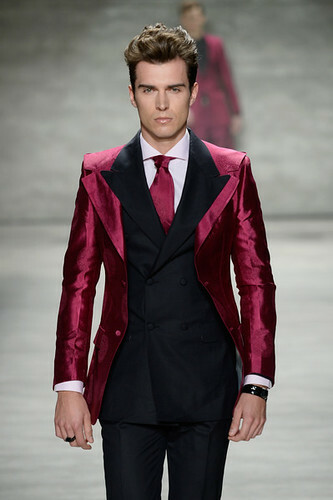 Malan Breton showed at New York fashion Week on Wednesday, February 18th, and what a show it was! Malan Breton was born in Taipei, Taiwan, and currently resides in New York City. He has been designing since the age of 11 and is known for his signature detailing and fabrics. He is celebrated by many and has a long list of celebrity clients who use him especially for his beautiful gowns for the red carpet. Gorgeous women such as Scarlet Johansson, Minnie Driver, Kylie Minogue, Ariana Grande and Kerry Washington have worn his beautiful creations. Men have discovered his incredible talent, including Daniel Craig and Keith Carradine. 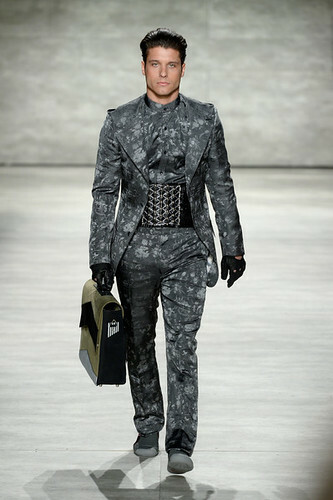 Malan Breton’s runway shows are not like others. Besides from showing his collection, which has a mix of ready-to-wear items and gowns, he adds elements that are unique and makes the show a SHOW. Such as the scooter helmets and the ski googles. And the last gown was a gown inspired by the 16th century. Malan Breton makes sure to touch every element in a collection. There is something for everyone. And I mean everyone. There is something for the ultra-feminine to the masculine woman or man. 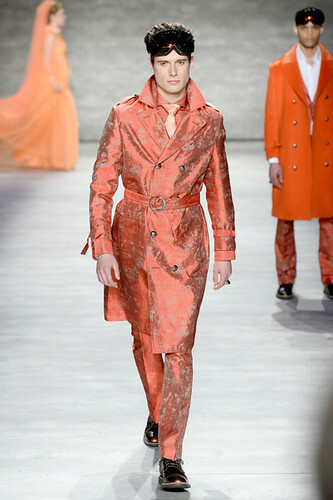 His collection had a strong fuchsia and pink that dominated the first part of the runway and moved to more burnt orange colors by the end, in line with what we are seeing of colors for the fall. A little strange were the men coming out in his boring underwear and a bathrobe or a jacket, which were a bit out of place, as if he ran out of ideas. But, you forget quickly when you see the other pieces coming out that gave us an enjoyable show to watch. There were elements in his collection I found offensive as a woman, especially the very frail baby pink for some of the women’s dresses, which could be the point of good fashion and art. It is supposed to move us and evoke emotions that might have an impact on us, or why else bother with art? 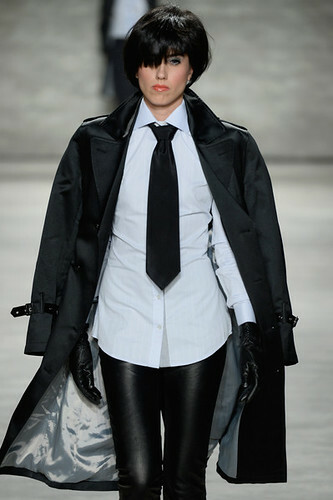 And Malan Breton was the only one who managed to push the boundaries this New York Fashion Week.